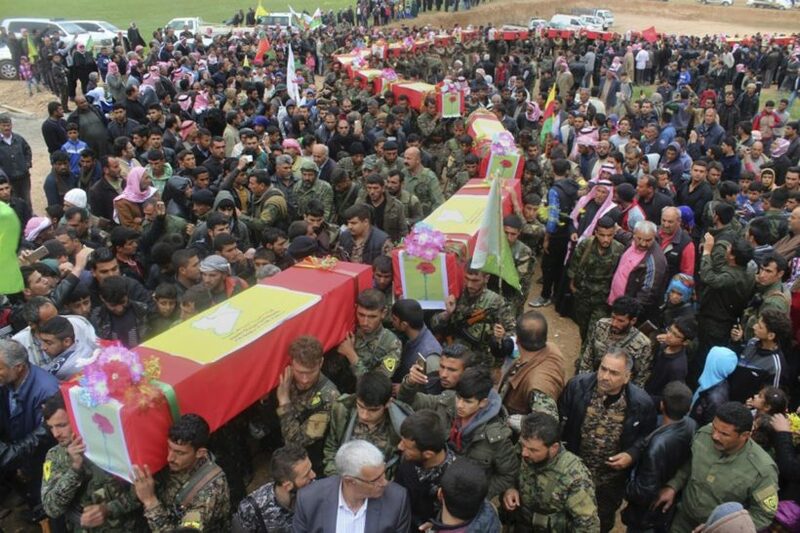 The Wall Street Journal caption : "Fighters from the Syrian Democratic Forces on Thursday carrying the coffins of their comrades killed in a misdirected U.S. airstrike." Many people only read the headline and the first paragraph of a news story. That is why it is extremely important for media outlets to provide accurate headlines that do not spin a false narrative. WASHINGTON—The U.S. military mistakenly killed 18 of its own allies in Syria in a misdirected airstrike meant to hit Islamic State fighters, Pentagon officials said Thursday. 1. After reading the headline, what do you think happened? — What do you assume about our military’s competence? 2. Does the first paragraph or caption under the photo change your impression of what occurred? Members of a Kurdish-Arab coalition allied with the U.S. were killed after providing the U.S. with the wrong coordinates for an enemy target during a battle with Islamic State fighters earlier this week, the military said. How does this change your understanding about what actually occurred? 4. Why is it important for news organizations to provide accurate headlines? 5. Usually an editor has final say on the headlines. First paragraph: A U.S. drone struck and killed at least 18 members of an allied Syrian force this week, the Pentagon said, in the worst friendly fire incident of the war against the Islamic State. First paragraph: The U.S. military says a misdirected airstrike this week killed 18 friendly fighters battling Islamic State alongside the international coalition in northern Syria. 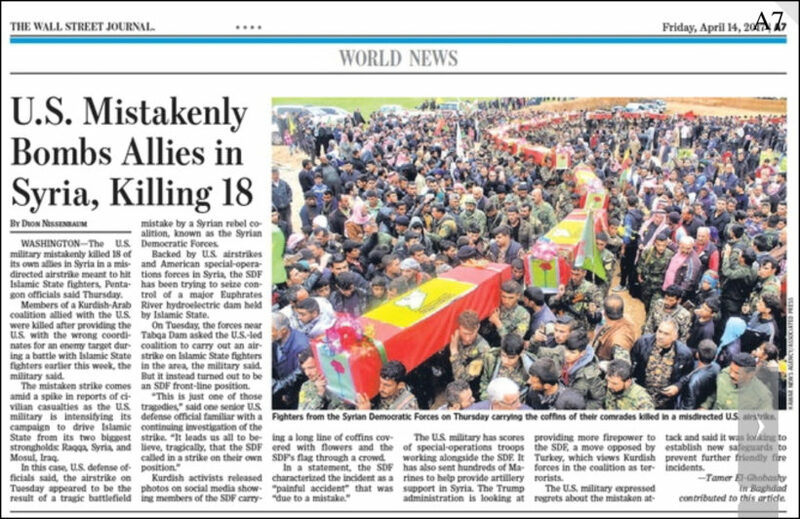 First Paragraph: WASHINGTON — An airstrike by the American-led coalition fighting the Islamic State killed 18 Syrian fighters allied with the United States, the military said on Thursday. a) It is true that on at lease two occasions over the past few years, the U.S. has mistakenly hit our allies with an airstrike in Iraq or Syria. But in this case, our allies mistakenly gave us their own coordinates, calling on us to bomb their own location. What responsibility do you think publishers/editors have to provide accurate headlines that are not misleading? b) Having read this post, what responsibility do you think you as the reader have to read the news with discernment? CHALLENGE QUESTION: What would have been a more accurate headline? The headline indicates that the U.S. military made a mistake and bombed our allies in Syria. The reader would assume that our military is incompetent. 3. How does reading the second paragraph change your understanding about what actually occurred? The second paragraph tells me that our military was not at fault; it was a tragic mistake on the part of our allies. 5. a) What responsibility do you think publishers/editors have to provide accurate headlines that are not misleading?